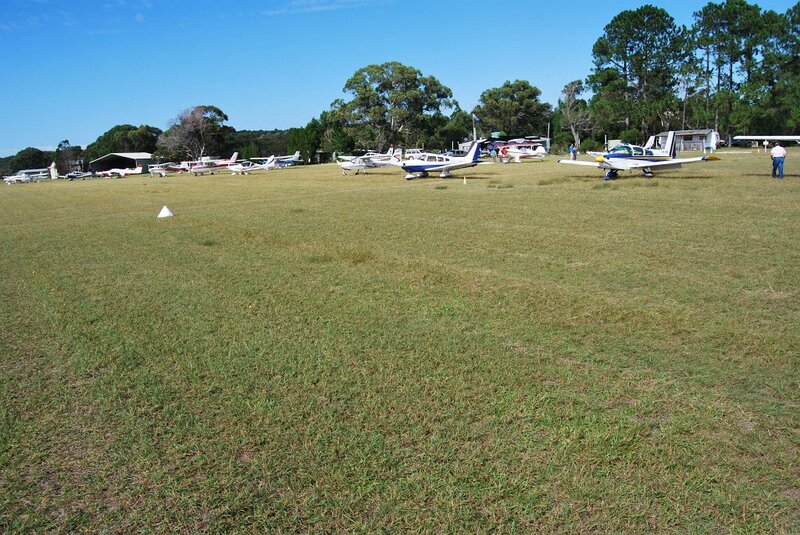 Runway 15/33, 865m, grass over gravel. Strip slopes 1 in 64 uphill to the south. Strip is all weather however use caution after heavy rain. At times of strong S or SE winds use caution on approach to runway 15 due to turbulence or wind shear. Animal hazard exists on the runway early morning and late afternoon. Soft sand areas and rough surfaces exist outside the cone markers – use caution. DUNWICH (North Stradbroke Island) YDUN. Qld. 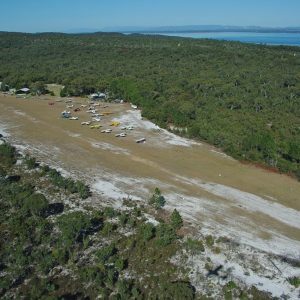 Operator: Stradbroke Air P/L. PO Box 29 Dunwich Qld 4183. WAC: 3340. S.27.31. E.153.25.7. VAR.11. 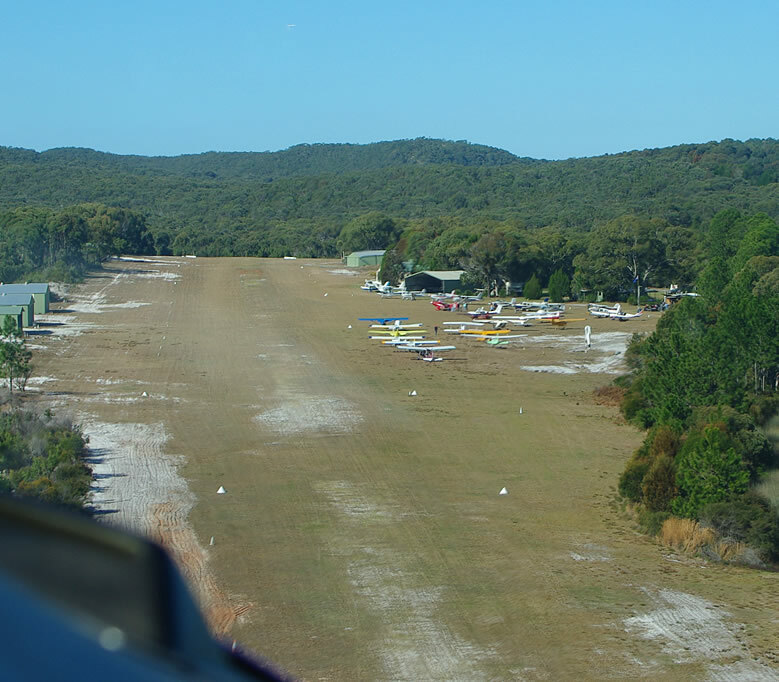 Runways: 15/33 865m grass over gravel. Elev: 250 ft. CTAF: 126.7, BN CEN: 125.7 marginal on the ground. Landing notification requested(07 34099727). 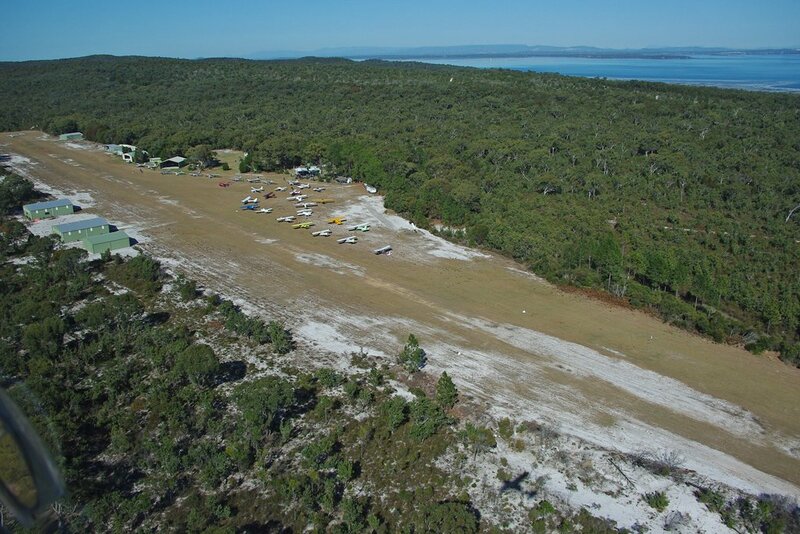 No landing charges apply to members or anyone attending the Straddie Fly-in Breakfast. 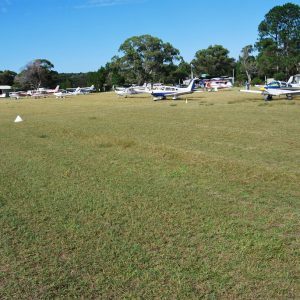 Landing charges do apply to non-members($20) and all commercial operations($20). Approaches are generally clear. Strip slopes 1 in 64 uphill to the south. Strip is all weather however use caution after heavy rain. An animal hazard (kangaroos, wallabies, ducks, magpies, plovers etc.) exists on the runway in the early morning and late afternoon. At times of strong S or SE winds, use caution on approach to runway 15 due to turbulence or windshear. Strong SW to W winds will also produce windshear and rotors both to the south of the airfield and especially to the north. Soft sand areas and rough surfaces exist outside the cone markers – use caution. On busy flying days e.g. 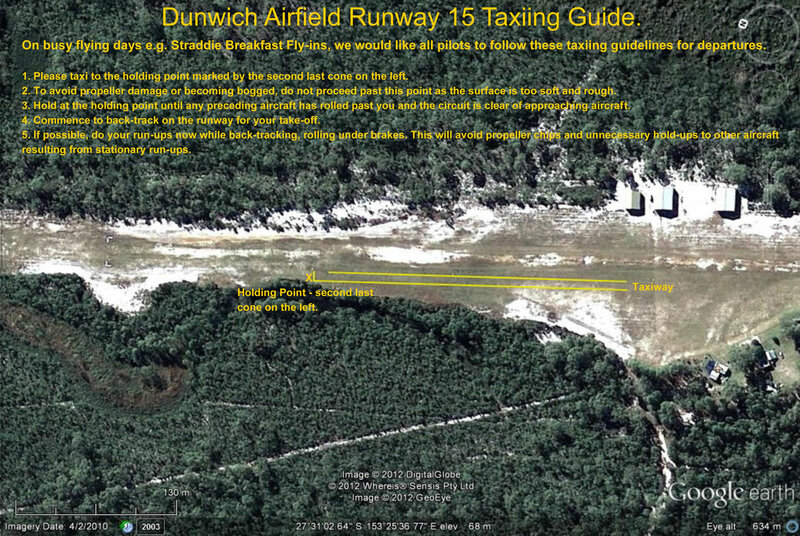 fly-in breakfasts, taxi with care outside the cone markers only on the western side of the runway to the Rwy 33 threshold or to the Rwy 15 threshold using the taxi guide below. At all other times, backtracking is recommended. On busy flying days e.g. fly-in breakfasts, please join on downwind for your landing and avoid joining on final. By all means, try a straight-in approach at other times. Toilets and hot shower, phone available in the clubhouse. 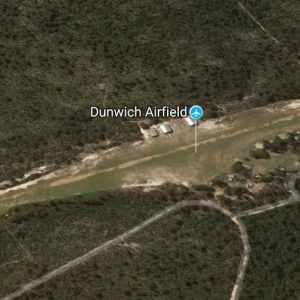 Nearest town Dunwich 6km NW. Beaches, Fishing, Golf, Diving, Whale watching, bush walking. For off field accommodation or Island tours contact the Visitor Information Centre (07) 3409 9555. 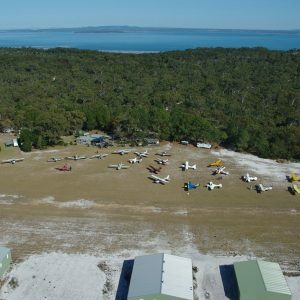 Hangar sites(POA) can be sub-leased from Stradbroke Air P/L. These leases currently run through to 2029 with the QLD Department of Environment and Natural Resources. 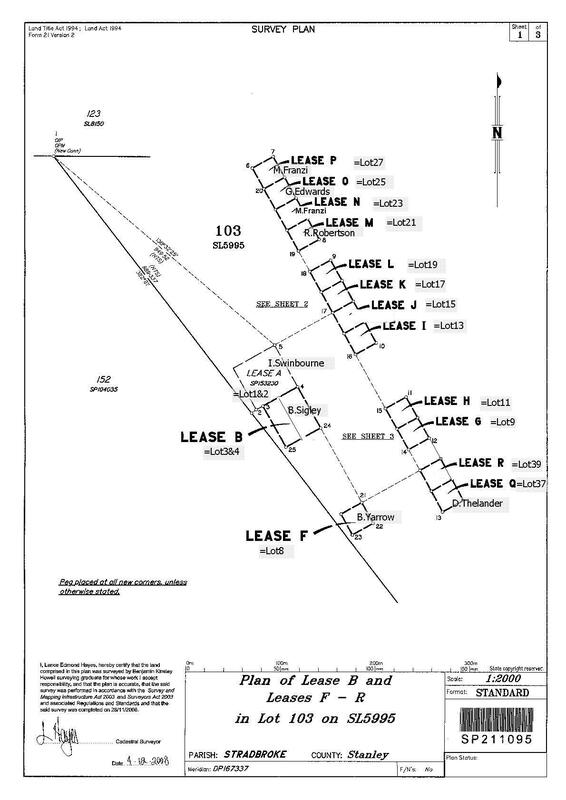 The survey plan shows current sub-lessees, leaving the unnamed ones currently available. Enquiries are welcomed. To be granted a sub-lease, you will be required to become a club member. This is to ensure sub-lessees keep the interests of the club at heart and community facilities can be used by all in the best interests of all. Community facilities have water and sewerage provided with power being generated on site. However sub-lessees have to provide their own water, sewerage and power supply to their sub-lease area. 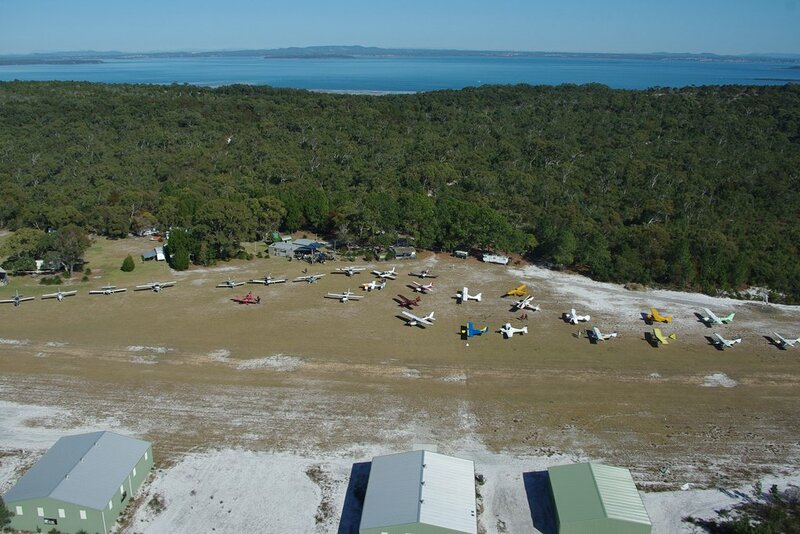 For further information about what the Straddie Aero Club has to offer email us or give us a call. Fly in, have a coffee and we’ll be happy to show you around.